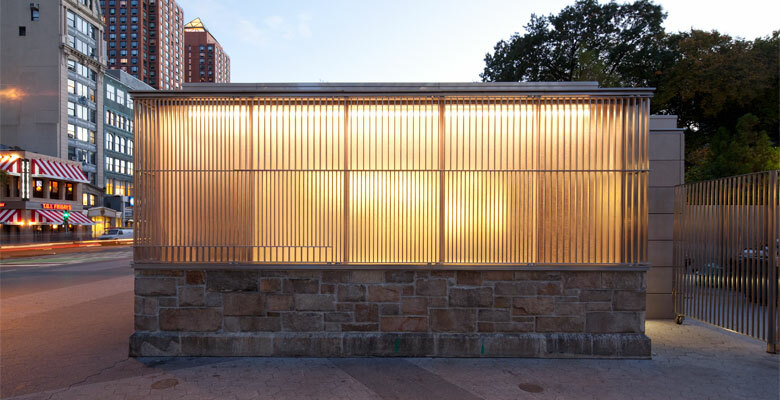 The design Union Square Park North End Expansion includes the restoration of an historic open air pavilion and a new ground-up comfort station as part of the larger plaza and playground development led by the landscape firm MVVA. The design integrates the park’s historic elements with new construction. 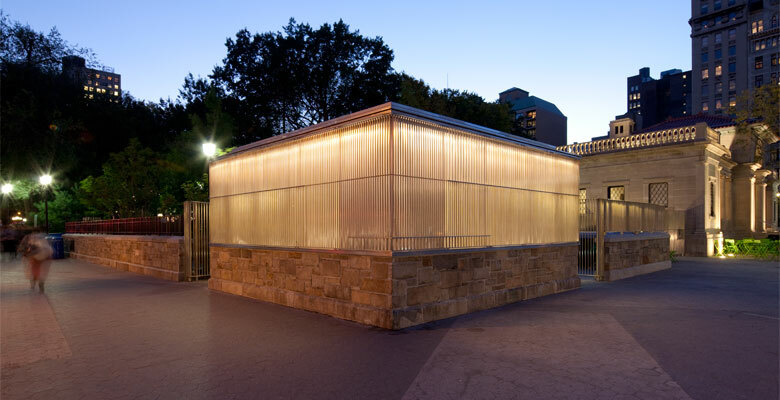 The comfort station is isolated from the historic pavilion to create a clear visual hierarchy between the two buildings, while also anchoring the north-east corner of the park and plaza. 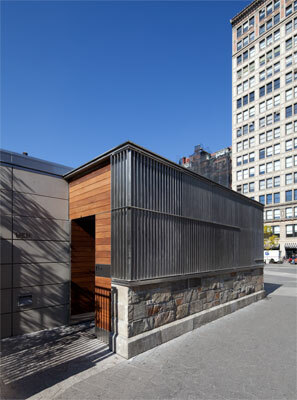 The façade of the comfort station physically weaves the existing historic ashlar wall that bounds Union Square with new stainless steel fencing and translucent eco-resin that glows at night. Bryan Young was the Project Lead for the Union Square Park North End Expansion at Architecture Research Office; Stephen Cassell (ARO) was the partner in charge of the project.